The latest news from the world of publishing and literature in translation. Announced February 28–so technically not March news–translator Martin Aitken was awarded the 2019 PEN Translation Prize for his translation of Hanne Ørstevik’s Love. The Nobel Prize for Literature returns this fall, with prizes for 2018 and 2019 to be awarded. The French-American Foundation 2019 Translation Prizes were announced. The first Uzbek novel translated into English won the EBRD literature prize. The Man Booker International Prize longlist is quite impressive. Debut novelist Tommy Orange wins the PEN/Hemingway Award. Publishers Weekly considers The Plight of Translation in America. The UK’s Prospect magazine writes in praise of the literary translator. Translated fiction enjoys sales boom as UK readers flock to European authors. Harper Collins launches international imprint HarperVia. Celebrating Lawrence Ferlinghetti’s 100th birthday at City Lights Books. Please Translate This, or, The Frustration of Wanting People to Read Your Favourite Untranslated Book. “’In writing there is a kind of secret to it. So when you do the translating, you can catch the secret. '” Haruki Murakami on the pleasures of translation. Five Indonesian authors you should read. More praise for João Gilberto Noll’s “surreal, audacious” Lord. 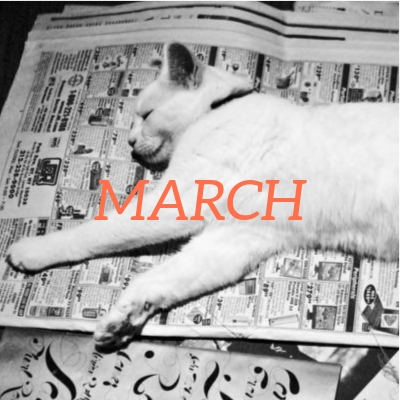 Entropy magazine includes Lord on their list of February and March small press releases. LitHub lists Lord as one of 5 books you may have missed in February. Americans’ interest in what’s happening in the rest of the world is reflected in their growing appetite for foreign literature. Bright is on Barnes & Noble’s list of 15 Newly Translated Novels You Need to Read in 2019.